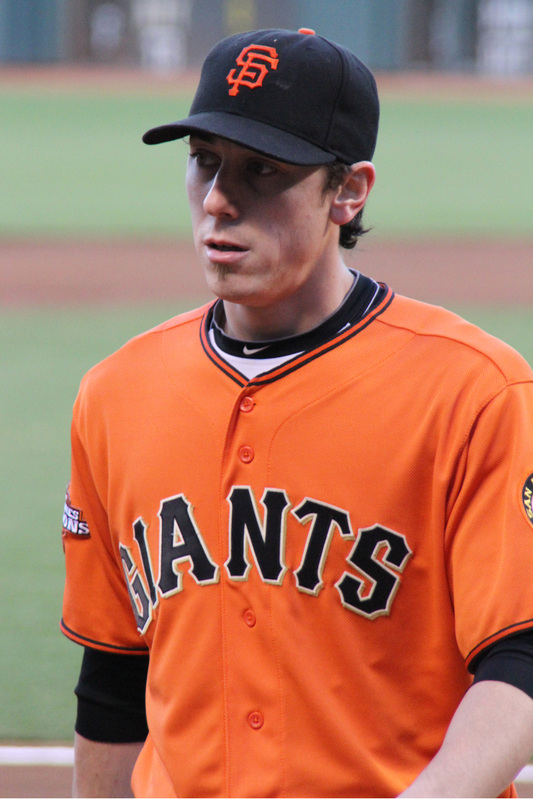 San Francisco Giants pitcher Tim Lincecum got roughed up again tonight, this time by the Atlanta Braves. He walked five, and gave up two earned runs in six innings. The Giants lost 3-0, and while there’s plenty of blame to go around (I’m thinking of Andres “Butterfingers” Torres right now), there is no denying that Timmy’s problems are not just a temporary funk. His performance has not improved this season, even though he reportedly showed up to spring training in the best physical shape of his career. I am a longtime, diehard Lincecum fan, and his downward spiral has been tough to watch. Of course I hate to see the Giants lose and all, but what’s harder to witness is Timmy’s complete loss of confidence. The swagger and fist pumps are long gone, and now he just looks lonely and lost out there on the mound. His facial expression and posture are so different than in seasons past. I can see this on TV, but was surprised by how obvious the change is in these photographs. When scrutinizing the hundreds of photos I took, deciding which to edit and keep and which to delete, I probably saved more than made sense. Each time I watch Timmy struggle mightily these days, I wonder how many more times I’ll get to see him start. I also wonder how much longer he’ll wear a Giants uniform. It’s hard for me to imagine the team without him.